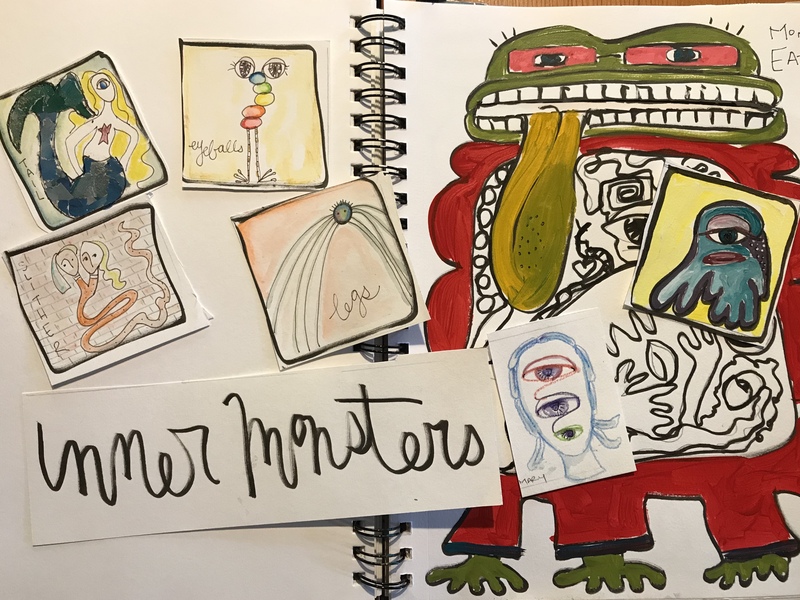 I've just made my Inner Monsters class available to add to your library this month. It's half off (or free for 30 days if you're low on funds). There's a lot that feels antiquated from 2014. iMovie graphics, the size of the frame, my editing. But the prompt that I added above might be one of my favorite parts of a course that I ever did. There's lots of build up to this moment, which I won't blow for you, but decorating a bunch of monsters, feeding them to a monster eater and then using them for divination? That's my kind of (admittedly weird) happy place. This course is only available until Halloween so if you are in need of some dorkiness, add it to your permanent library now.